Black Panther won 3 Oscars, for Best Original Score, Best Costume Design, and Best Production Design. Discussion to follow: "Black Panther: Biomimicry and the Biology of Elite Athleticism" with Shane Campbell-Staton, Ph.D, Assistant Professor, Institute for Society and Genetics. Department of Ecology and Evolutionary Biology, UCLA and Arien Darby, Marketing Coordinator, Warner Bros. Publishing. 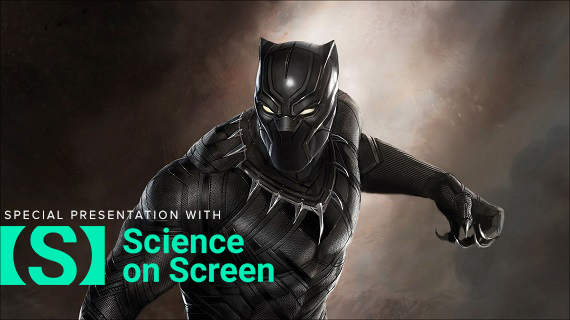 In this live episode of The Biology of Superheroes Podcast, Shane and Arien discuss Marvel's Black Panther and the world of Wakanda. Using the discoveries and innovations in biology and technology, they will explore what makes King T'Challa and his secretive kingdom so amazing. They will chat about a wide variety of subjects including biomimicry and biologically-inspired engineering, the genetics of elite athleticism and the role of culture in shaping human performance. Free admission to all our patrons 18 and under!